Bastian's Book Reviews: Cardiff Science Fiction & Fantasy Book Club: THE MARTIAN!!! Cardiff Science Fiction & Fantasy Book Club: THE MARTIAN!!! 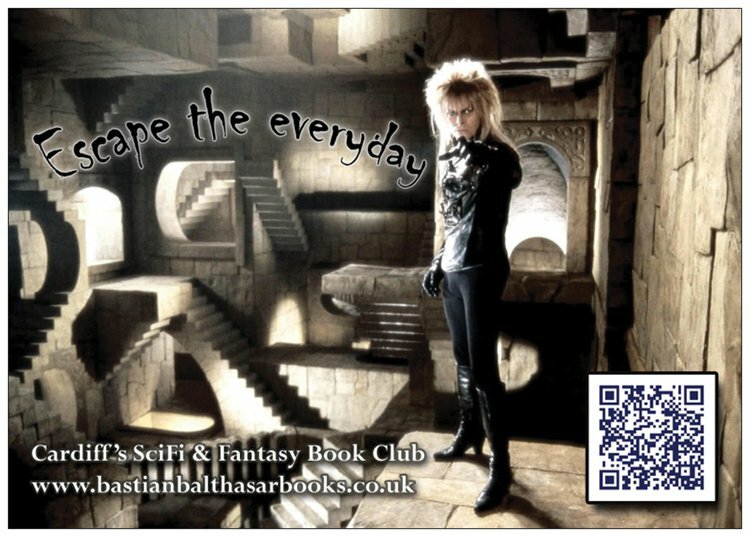 I've been distributing new flyers around Cardiff this weekend to encourage new people to join our Science Fiction & Fantasy / Speculative Fiction Book Club. If you're visiting my blog because you found a flyer, hello! Our book club is fairly small. Meeting sizes over the past year have ranged from two to nine people - the last two meetings had three attendees, so we decided to renew our efforts to recruit our pool of book clubbers and inject some fresh blood. Hence the flyers. We're a relaxed book club: not everyone reads every book. The more regular attendees include myself (Robert), Nikki, Thomas, Sarah and Kelly. Several others have come along from time to time. You can also find our book club on Facebook and on Goodreads. The book we're reading for the next meeting is Andy Weir's 'The Martian'. For all existing members and those showing up at our next meeting: Should we read something scary for Halloween / our November meeting?